Growing demand in the U.S. could push it over the top. 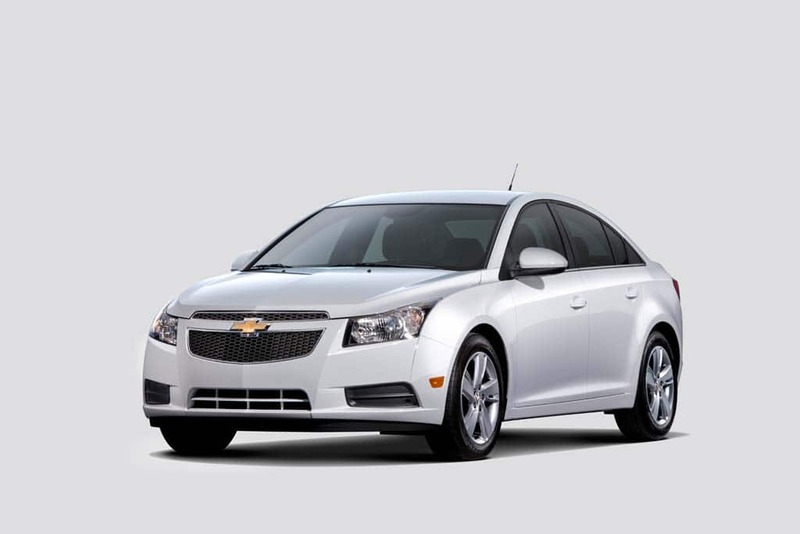 The Chevrolet Cruze diesel is one of a wave of new "oil-burners" coming to the U.S. market." The number of diesel models available in U.S. showrooms is soon to expected to double, according to one trade group, and though many Americans are still skeptical about the energy-dense fuel, the increase in demand could soon lead to diesel surpassing gasoline as the most popular transportation fuel, forecasts energy giant ExxonMobil. Where demand for gasoline will stay fairly flat in coming decades, predicts a new report, sales of diesel will rapidly grow – much of that increase driven by the commercial vehicle sector. The study also sees a growing role for hybrid-electric transportation, though even combined with plug-ins and pure battery-electric vehicles, or BEVs, ExxonMobile envisions “electrified” vehicles will still account for less than half of the global market by 2040. Diesel will surge past gasoline as early as 2020, and continue to gain share for at least another two decades, forecasts the company’s new study, “Outlook for Energy: A View to 2040.” Over the more than a quarter century covered by the report, diesel demand is expected to account for 70% of the growth in all transportation fuels. Diesel has been enjoying something of an energy renaissance in recent years, largely driven by strong demand by European motorists. There, with fuel prices now as high as $9 a gallon in some markets, the latest diesel-powered vehicles are generating roughly half of all sales. Demand in other major markets has been decidedly slower to catch on, but there are signs of interest in China and the U.S. is experiencing a small but notable mini-boom. Audi, for example, will add four new diesel models for 2014. 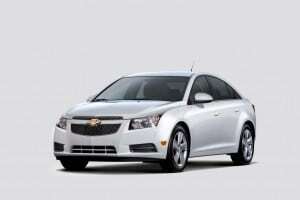 General Motors is about to launch the Chevrolet Cruze diesel, its first “oil-burner” in the passenger car segment. Chrysler is readying the Jeep Grand Cherokee diesel and Mazda is adding a diesel version of the Mazda6. “There’s a steady drumbeat for the new, clean diesel,” contends Allen Schaeffer, Executive Director of the Washington-based Diesel Technology Forum. But the real surge in demand, ExxonMobil’s study contends, will come from commercial fleets. It contends that heavy-duty vehicle, the largest subsector of the commercial market, will growth by 65%, much of that driven by emerging markets like China, Brazil and India. And those will overwhelmingly depend upon diesel fuel. There will be more personal vehicles on the road – in fact the Outlook expects their numbers to double, from 800 million today to 1.6 billion by 2040. But more will run on diesel – and those that still use gasoline will continue to become more efficient. A new study by the University of Michigan Transportation Research Institute underscores that by noting the typical American vehicle achieved a 40% increase in fuel economy between 1970 and 2010. Meanwhile, fuel economy will rise even more aggressively by 2025, when stringent new mileage mandates goes into effect in the U.S., with Europe aiming for similar increases through legislation targeting CO2 emissions. The ExxonMobil study predicts passenger vehicles will deliver an average fuel economy of 47 mpg by 2040, compared to 27 mpg today. China, meanwhile, is expected to put even more pressure on the market to shift to electric propulsion in its push to curb endemic air pollution. The new report is not especially upbeat about alternative propulsion – which some skeptics might say reflects ExxonMobil policy more than eventual reality. The company is general considered the most traditional and least supportive of alternative energy among the major oil firms. The Outlook predicts that natural gas will see its share among transportation fuels quadruple – but only from the current 1% to 4%. The biggest growth is expected to be among conventional hybrids, which are predicted to account for 50% of all new passenger car sales by 2040, or 40% of the overall global motor vehicle fleet. As for plug-ins and BEVs, barring a major breakthrough in pricing, the forecast is a modest 10% of passenger car sales and 5% of the worldwide motor vehicle fleet. This entry was posted on Tuesday, March 12th, 2013 at and is filed under Automobiles. You can follow any responses to this entry through the RSS 2.0 feed. Both comments and pings are currently closed. Diesel already far outsells gasoline in most countries except the U.S. where Obama and the EPA are continuing to do all that they can to prevent the sale of clean Diesels and force car makers to sell impractical EVs. Never in history has the U.S. government ever conspired so much against the populace as it does today. We in the US just haven’t seen the ‘wave’ arriving, but in Palermo, Italy where I live in summer, the paper says 83% of all vehicles are diesel. I have never seen a non-diesel VW there, and maybe one in a hundred BMWs, probably the same for Mercedes. A few super-low end tiny cars are gasoline only, but diesel and GPL (compressed gas) are offered on nearly every car. I drove a diesel Cruze in Dec. 2009, and it was so much more powerful that what we now have here; the diesel was the ONLY motor in the top-line version. I had decided to buy one, but it has no stick shift here, so I bought a Jetta diesel instead. I just got 44.9 mpg with the cruise set on 82 mph on a 1,300 mile trip. I ran into some acquaintances at a family affair the other night and was nervous when they said they took some advice I’d given in a radio interview when they chose their new car. Then they added they were in love with their VW diesel. Satisfaction rates appear to be extremely high…along with mileage.